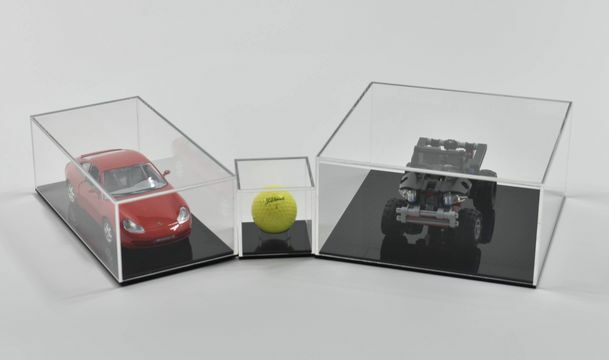 Top quality display cases, designed and manufactured in the UK by Striking Displays Clear acrylic display cases standard and bespoke sizes with bases or wall mount panels to suit, black, white, clear or coloured acrylic options available. 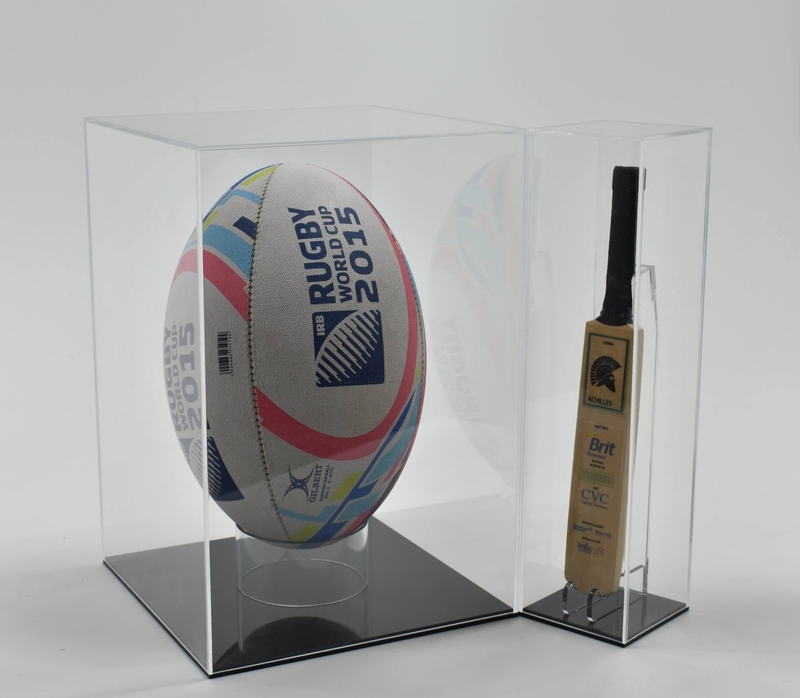 Using Perspex, Plexiglas and other brands of acrylic, we have manufactured clear acrylic display cases for bats, balls, shirts and shoes, various other sports equipment and sporting memorabilia. 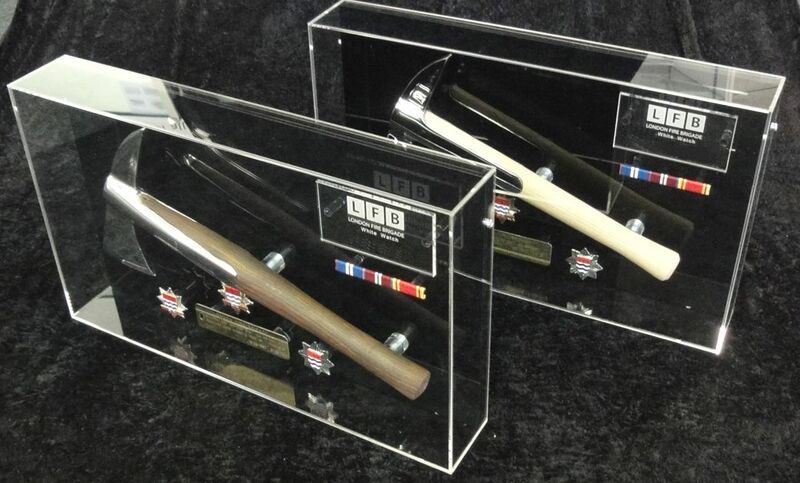 Display cases can be wall mounted for pictures, shirts & other items. 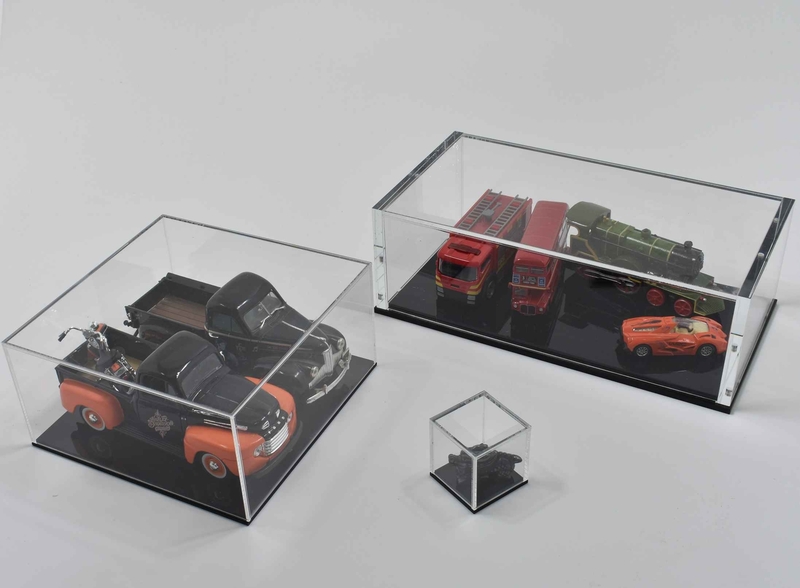 Model covers for cars, antiques, boats and toys are very popular. 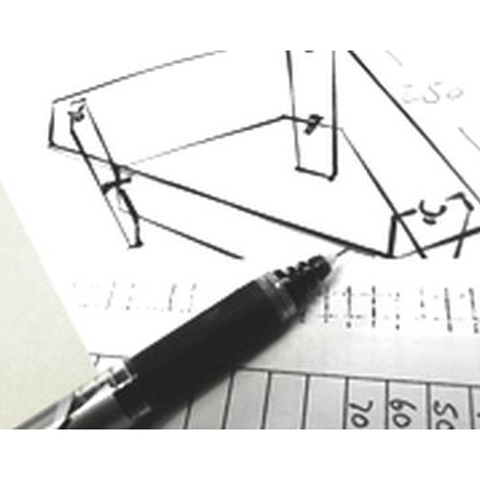 As well as making cases for musical instrument, trophies, cakes and a wide range of collectables, we manufacture display covers for architectural models, record deck covers and museum displays. Please click on the images below for more product information.